The aim of NET-GTAS, the Network of Translators for the Globalization of the Testimonies of Atomic Bomb Survivors, is to express and diffuse the experiences of Atomic-Bomb victims through video interviews with the survivors. In order to overcome the language barriers, as most survivors speak only Japanese, the interviews are being translated into as many different languages as possible by NET-GTAS volunteers. Thirteen professors from Kyoto University of Foreign Studies, the University of Tsukuba and Yokohama National University formed the nucleus of this project and subsequently, in January 2014, we established NET-GTAS thanks to an expanded co-operation of regular members and supporters comprised of professors and translators involved in language education. 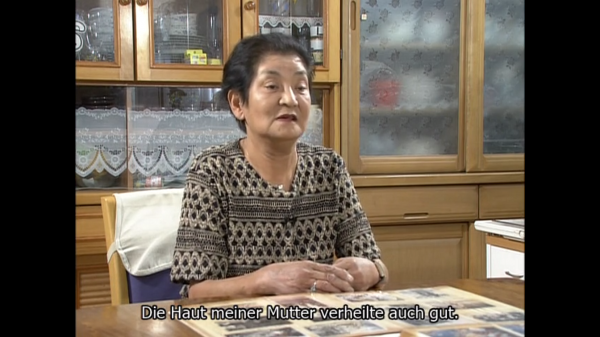 Since 2014, NET-GTAS has been started to work on translating the video interviews of Atomic-Bomb survivors produced by the Hiroshima National Peace Memorial Hall for the Atomic Bomb Victims (http://www.hiro-tsuitokinenkan.go.jp) into English, Chinese, Korean, German and French. The interviews will be posted on the HP of our internet site Global Network HP (http://www.global-peace.go.jp), which is produced with the National Peace Memorial Hall for Atomic Bomb Victims in Hiroshima and Nagasaki. NET-GTAS is working on not only translating, but also University seminars, which is included various fields such as linguistics, pedagogy and sociology related to the project, and collecting the documents and the other materials on the study of Hiroshima and Nagasaki. This project has started with 40 members (including office members) and currently, (February 2017) it has more than 160 participants in total : approximately 70 from overseas and 90 Japanese. The office (net-gtas@kufs.ac.jp) is located at Kyoto University of Foreign Studies. NET-GTAS has been supported to develop our by a lot of supporters who are young researchers and students. Open: Monday～Friday from 9 a.m. to 5 p.m.
NET-GTAS piled up 1 more work, and 136 videos in total have been translated so far. Copyright © 2014-2019 Kyoto University of Foreign Studies, Kyoto Junior College of Foreign Languages All rights reserved.